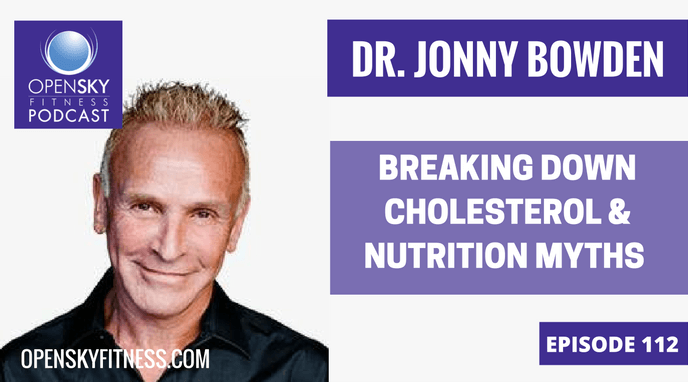 When it comes to breaking down cholesterol and nutrition myths, Dr. Jonny Bowden is a wealth of great information. Dr. Bowden has written numerous works including his latest book with M.D. Masley Steven, Smart Fat: Eat More Fat. Lose More Weight. 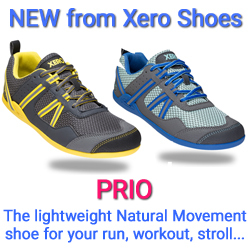 Get Healthy Now. Devon and I were so psyched for this interview with Dr. Bowden about cholesterol and nutrition that we took some time to discuss how to get on track with eating healthy and how to schedule time for yourself to focus on your health. 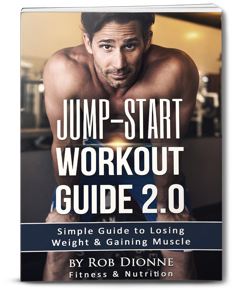 Start Building Your Own Workouts! Maybe you decided to eat some extra chicken wings, ice cream, or sugar drinks over the Labor Day Weekend (don’t worry, so did we!) and you’re feeling guilty about it. Don’t feel that way about yourself and don’t judge yourself. It’s okay to enjoy all of our favorite, unhealthy foods and overindulge every once in awhile. Plus it’s extremely hard not to once you’re around friends and family who are eating the same fatty foods. Just relax and know that being healthy is a journey that we’re all on. It’s normal to eat food that you normally wouldn’t eat. Just get back to focusing on your own personal health goals once that weekend BBQ is over and done. So what can you do to get back on the health wagon and start focusing on your health again? Plan and schedule. Now that school is starting, maybe it’s extra hard for you parents out there if you have kids to drive to school and to take to all their after school activities. Even if you don’t have kids, how do you schedule your life? Stop and think about your own time and your own goals. Time goes by so fast and it’s easy to ignore your health needs year after year while you put other people ahead of yourself. To created a focused plan on improving your health, we have some tips to help you create good health habits and patterns. Your mission for the week: Go ahead and pick as many of our tips that you want to do this week. Try to do at least 1-3 of them each week to focus on building those habits. If you focus on more than 3, then you’ll be all over the place by trying to focus on too much at once. Drink 80 oz of water. Eat 2 green vegetables in per day. Complete 2-3 workouts a week (even just 10 minutes each time). Do healthy batch cooking and meal prepping once or twice during the week. Have a No category: For example, pick one thing that you’re not going to eat this week whether it’s alcohol, soda, juice, cookies, or processed foods. Catch up on your sleep by sleeping 7-8 hours consistently during the week. You don’t have to complete the tasks perfectly. This exercise just to help you start good health goals. When it comes to completing goals, it can be difficult to do it all on your own. Keep track of being accountable with your goals with our Open Sky Fitness Podcast Facebook group! Share with the group what your goals are so we can all keep each other accountable. There’s a lot of feelings of fear when people hear the word, “cholesterol,” and we immediately begin thinking about gaining weight and different health problems like heart disease. This fear has been built upon years and years of different sources saying the cholesterol is so bad for us and we’ve believed in this myth and more for far too long. According to Dr. Jonny Bowden, we’ve been so wrong about our fear of cholesterol. In fact, there is nothing to fear. Dr. Bowden will explain in detail in the podcast, but all in all, there is no connection of saturated fat with heart disease and our cholesterol levels. If Ketogenic and Mediterrerian diets call for eating healthy fats that don’t actually make you fat, then why are we following other diets such as low-carb and low-calories that can make us sick? To truth is, is that the types of diets that focus on consuming a lower amount of carbs and calories don’t actually help us in the long run. In reality, we’re actually starving our bodies from the nutrients and healthy fats that it needs to feel full and be energized. Cholesterol is so much more complex than just knowing a single number and analyzing the good cholesterol (High-Density Lipoprotein) and the bad cholesterol (Low-Density Lipoprotein). That was the past but today, we know that there are so many different types of HDL and LDL that do not all behave the same. When you talk to your doctor about your cholesterol, have a particle test done to truly know where your cholesterol levels are at. A doctor should not be prescribing a medication such as Statins without taking a closer look at all of the different factors in someone’s cholesterol. A medication shouldn’t be prescribed by just looking at the good HDL and the bad LDL. There’s more to cholesterol than just HDL and LDL. 6:00 How can I eat healthy and focus on fitness again after Labor Day? 9:00 How to get yourself and your kids organized for the new school year. 30:00 How Dr. Jonny began to be interested in nutrition and understand how fat works? 35:40 How low-carb diets began to be dismissed. 39:40 How Statins and how prescribed medications harm our health and don’t fight cholesterol. 43:30 What happens to our bodys on low-carb and low-calorie diets? 49:00 Why you can’t eat whatever you want even if you workout a lot and have a fast metabolism. 52:00 How do genes come into play with health? 59:45 How to live healthy in the world that we live in and be motivated. 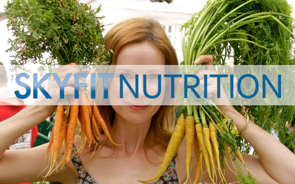 1:05:55 How can people get started on living a healthy lifestyle? What are your tips? 1:12:30 What should we be paying attention to in our blood panels when checking our cholesterol? 1:20:10 What are smart fats? How do we think about food in the US? 1:21:19 Do you need to pay close attention to your carbohydrate intake if you switch over to real food and quit processed foods? 1:23:35 What are some foods that we consume on a regular basis that we need to avoid at all costs? Thanks for listening/reading Episode 112-Dr. Jonny Bowden: Breaking Down Cholesterol and Nutrition Myths. We hope you have gained more knowledge on how to be a healthier you!